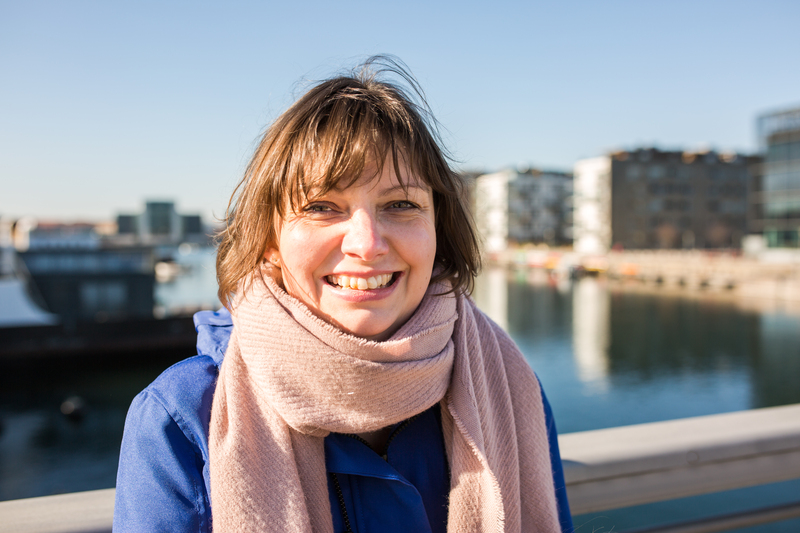 We don’t often spend a lot of time in the centre of the city unless we are a mission to do something, for example visit a museum, or go shopping but this week we’ve had guests from the States and spent a little more time in the city than usual. Cue exposure to tourists en masse but that’s another post altogether! 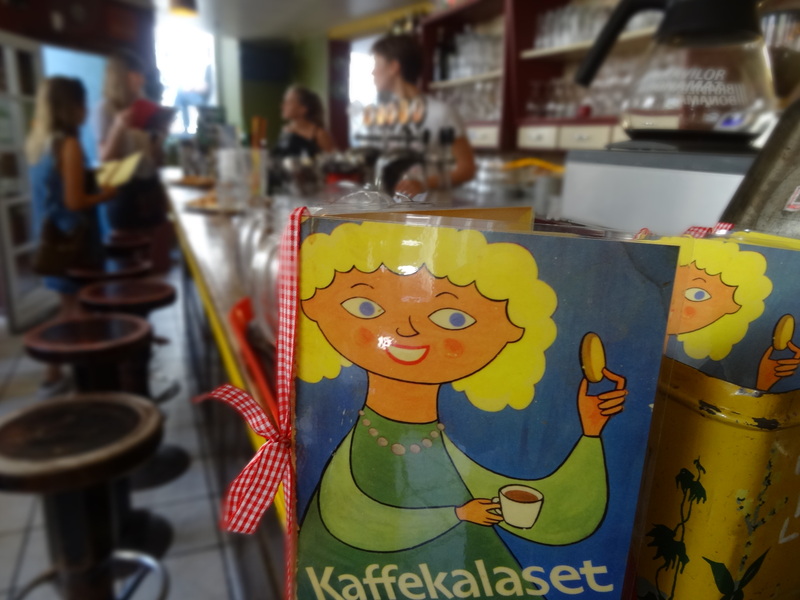 Last week a couple of girls stopped me at the bus stop on Østerbrogade and asked me the best way to get to a cafe called Kalaset. I hadn’t heard of it but Google had so I was able to help. After a visit to the Workers’ Museum on Tuesday my husband said he had Googled local places and this place sounded good and it was Kalaset again! So fate said we had to go there. It is exactly my kind of place. A bit quirky, a bit gritty, very cluttered and a lot mismatched. Plus the menu was amazing. I am getting a little tired of the generic brunch menu offered in a lot of places, even when it is well executed so the Vegan Brunch I chose was a refreshing change. 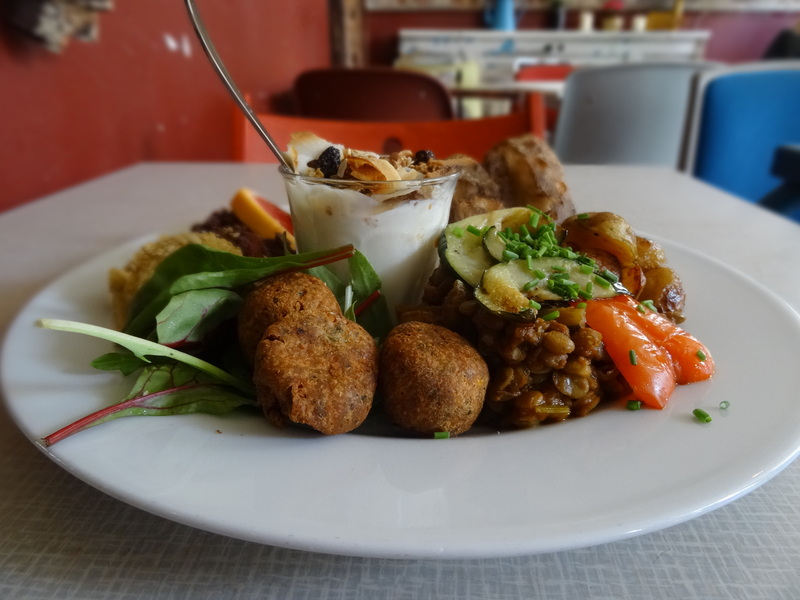 Falafels, hummus, tapenade and a mouthwatering Moroccan inspired warm lentil salad were the stars on the plate. My son forsook his pancakes to share my plate of food, it was that good. 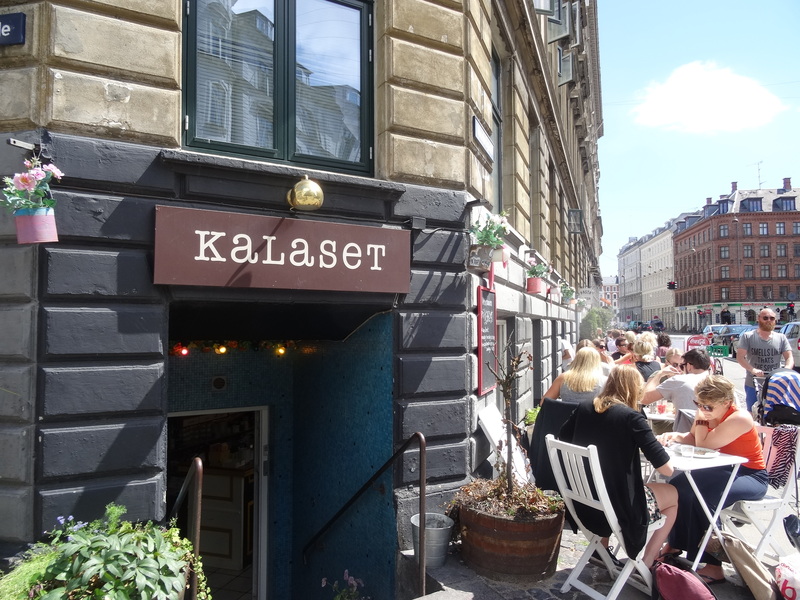 Kalaset, Swedish for party, has been here for around eight years and calls itself a little Swedish corner of Copenhagen. 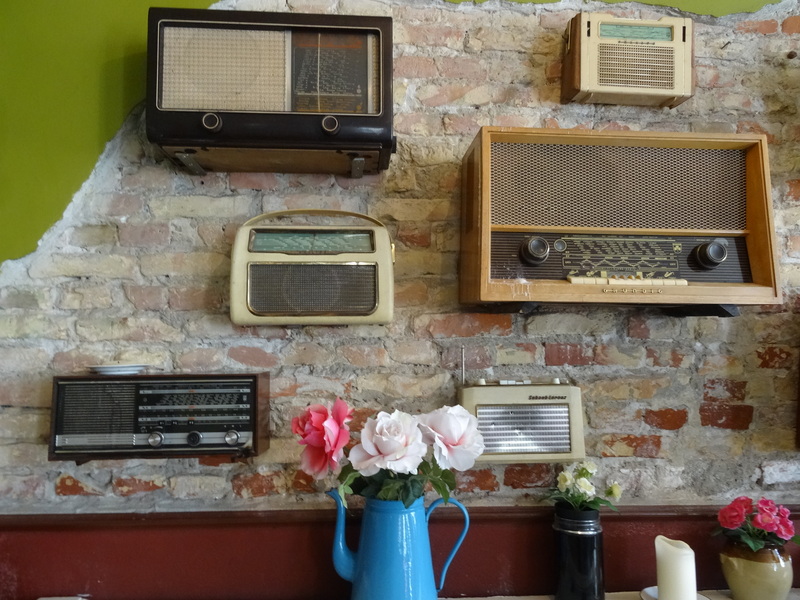 The little touches such as all the old radios mounted on the walls, the bare brickwork, which despite seeing this a lot, I still love. 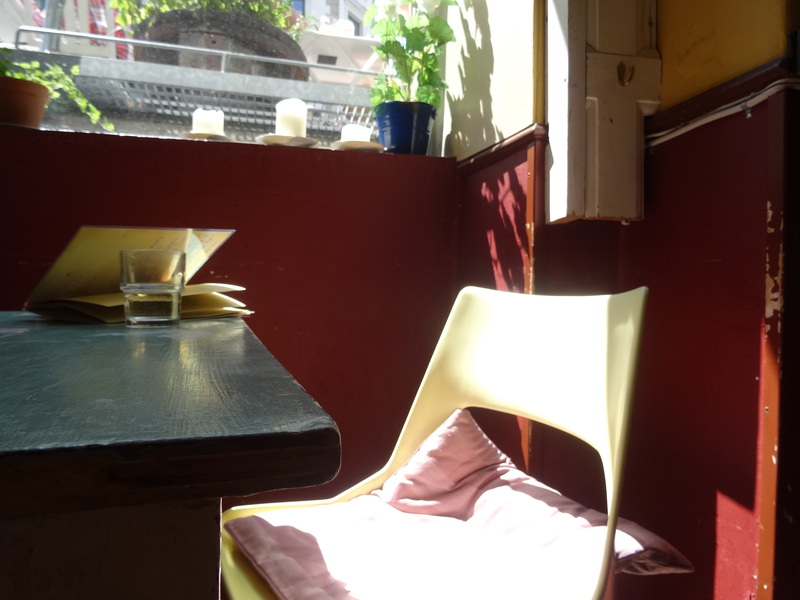 The cafe was cosy and sunlit, but you still got the feeling it would be very warm and inviting in the winter too. I definitely felt this was somewhere I would be returning to, and soon. 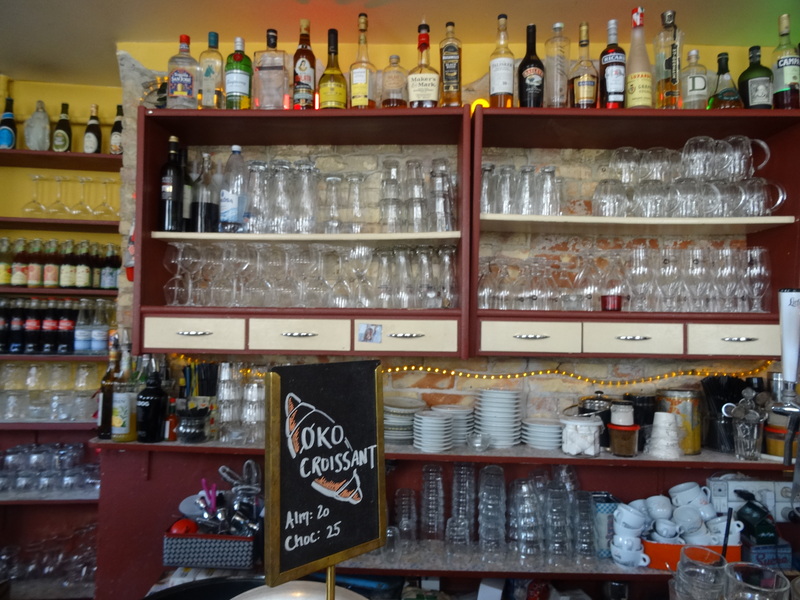 It is open late and becomes a lively bar in the evenings with a happy hour between 10pm and midnight (at time of writing) and I can imagine it is a noisy, hot and fun place to be. 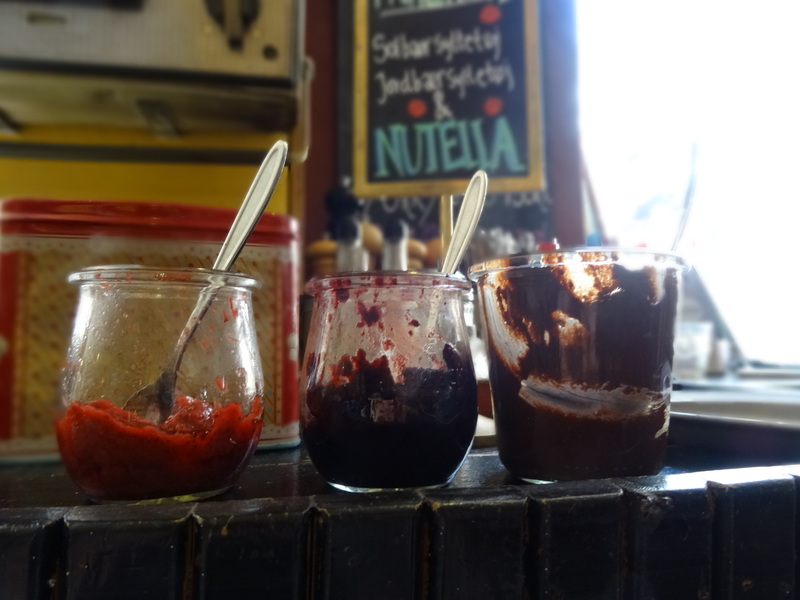 Homemade jams and Nutella – perfect! I think we’ve walked past it a few times, must give it a go. The vegan brunch looks very tasty.